Though mobile fitness apps can provide inspiration to get out the door, experts say they can be unhealthy and dangerous. Expresso Bikes also allow users around the world to compete in races, but the data are loaded onto each stationary bike. 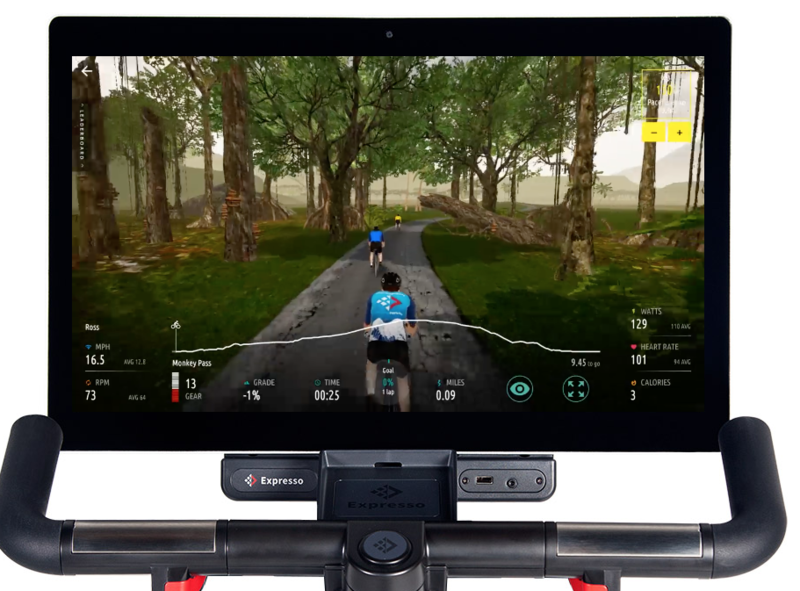 The bikes provide a virtual course and calculate heart rate, power, speed and distance. Users can compare themselves to others by gender, age, and even geographical location. Boyd, an accomplished master's runner, gave up timing his own runs at all 20 years ago and prefers to run by feel. He says that some technology can be "completely counterproductive when it comes to maintaining a sensible, long-term training — or even just exercise — plan." Could Your Phone Know More About Your Health Than Your Doctor? Strachan says that the successful behavioural changes people need in order to reach new fitness goals require them to choose a sustainable activity — something that people can imagine doing day in and day out.